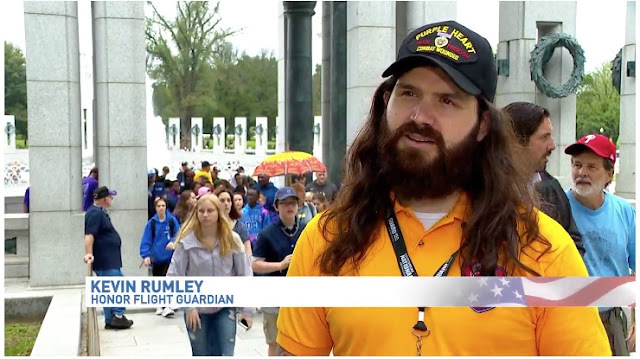 Some guardians were veterans, like Iraq War Marine Kevin Rumley, who was on his fourth Honor Flight..."As much as I'm moved by the experience every time, my focus as a guardian is always on the veteran and anything they need to just make their day better," Rumley said. ASHEVILLE, N.C. (WLOS) — Blue Ridge Honor Flight took to the air last weekend for the 35th time, and the trip was a first. Veterans of Vietnam, accompanied by Honor Flight guardians, who helped get them through a whirlwind day in Washington, D.C., were the focus for the first time. Honor Flights are free for veterans; guardians pay for the privilege. That group of volunteers is our Persons Of The Week. 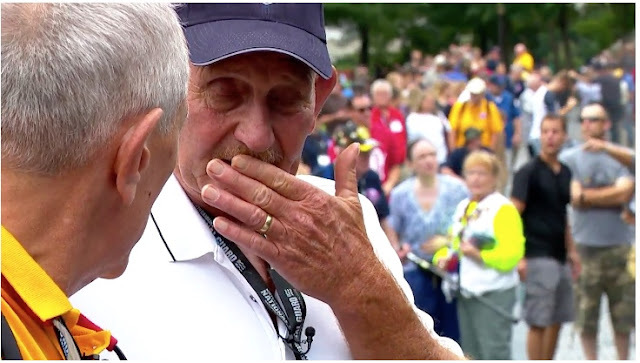 From Asheville Regional Airport to Reagan National, the trip was the start of a "welcome home" experience so many Vietnam vets never had. Among them, 71-year-old Yancey County native David Letterman. 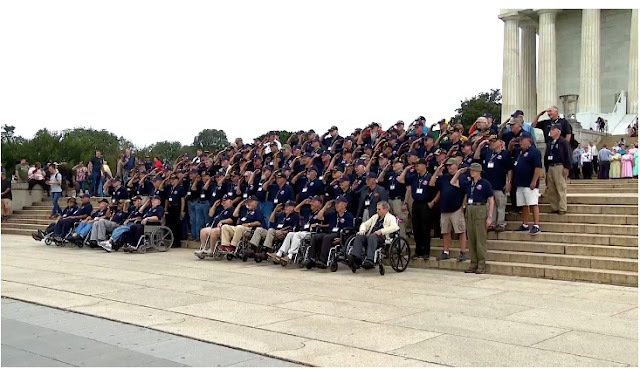 First stop was the Lincoln Memorial, for a color guard flag ceremony and group photo.